Darfur displaced persons are similar to a refugee in that both usually leave their location to get away from the same kinds of human rights violations, such as political repression, religious persecution, and ethnically-motivated attacks. However, the places where they flee depend on what type of international aid will be available to them when they reach the location. This type of relocation due to dangerous conditions is also referred to as forced migration. There are at least 25 million refugees and forced migrants worldwide. Major trouble began when two rebel groups, the Sudan Liberation Army and the Justice Equality Movement, tried to equalize power and enhance the economic ease for people in Sudan, the largest African country, with a population of approximately 32 million. In an effort to stop these rebel groups, the Sudanese government began a reign of violence, particularly against residential communities in the region of Darfur. Although Darfur has had a history of conflict since the 1950s, the year in which major violence broke out was 2003. The forced migration of Darfur displaced persons was caused by a constant and deadly number of attacks by an Arab militia known as the Janjaweed. Since then, roughly 215,000 Sudanese refugees have been forced to flee, with many crossing the border into nearby Chad, and at least two million Darfur displaced persons relocating within Sudan. There have been a large number of Darfur displaced persons who did not survive fleeing the hundreds of miles it takes to get to a refugee or Darfur displaced persons camp. This forced migration has also led to a number of re-locations within Chad itself. Once the Darfur displaced persons reach Chad, they take up residence in refugee camps. These camps are run by the United Nations High Commissioner for Refugees (UNHCRThere is a lack of national refugee policy within Chad. Often, the Darfur displaced persons, or refugees, live in these refugee camps without a solid long-term plan for the future in place. 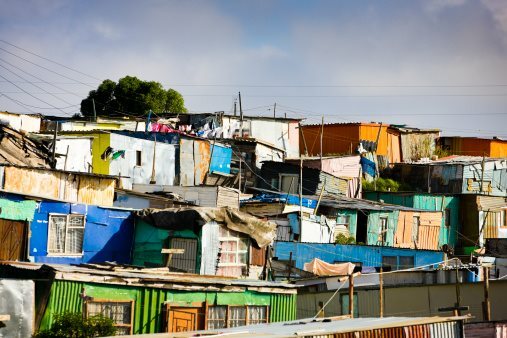 This leaves them unable to make real homes in Chad. Additionally, many camps where Darfur displaced persons have sought safety are repeatedly attacked by armed militias.